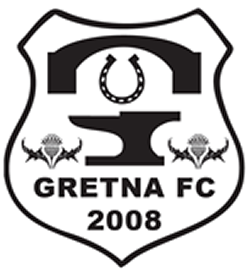 Ten wins in a row behind them, Gretna FC 2008 face a frustrating weekend as they chase in on the league championship. 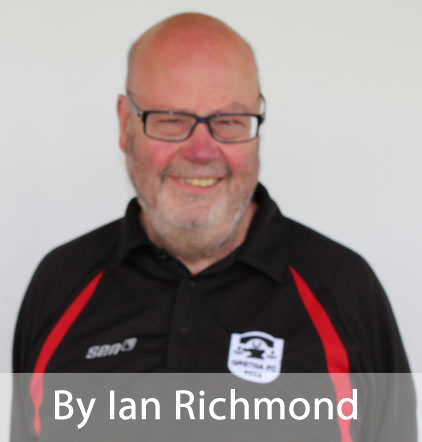 Manager Stuart Rome was effusive in his praise for his players following last week’s end to end Lowland League match with Gala Fairydean Rovers at Galabank. Having built a three goal lead in the first half, Gretna were pummelled in the second by an indomitable Gala side. “They came back at us in the second half,” said Rome, “but I’m proud of the way my players stood up to everything they could throw at us. In fact if Brandon Longcake’s shot had not hit the post and if Scott Milligan had not headed narrowly over the bar, we could have increased our lead.” Gretna now trail Edinburgh City by two points, although the Capital club have games in hand. If anything, the scheduled interruption gives Gretna the opportunity to assess and remedy the storm damage to Raydale; parts of the boundary fence was blown down and there was damage to the floodlights. Gretna’s next match is away to Spartans FC on Saturday 31st January with a 3pm kick off. Next scheduled home match is against Selkirk on 7th February. hi would be good if Gretna fixtures could be updated as soon as games are re arranged - spartans game is not on fixtures list- I found out by checking Lowland league site fixtures - missed out on cheaper east coast train tickets from newcastle to edinburgh . paid a bit more for train ticket than for edinburgh city game which when I arrived at meadowbank found it had been postponed.